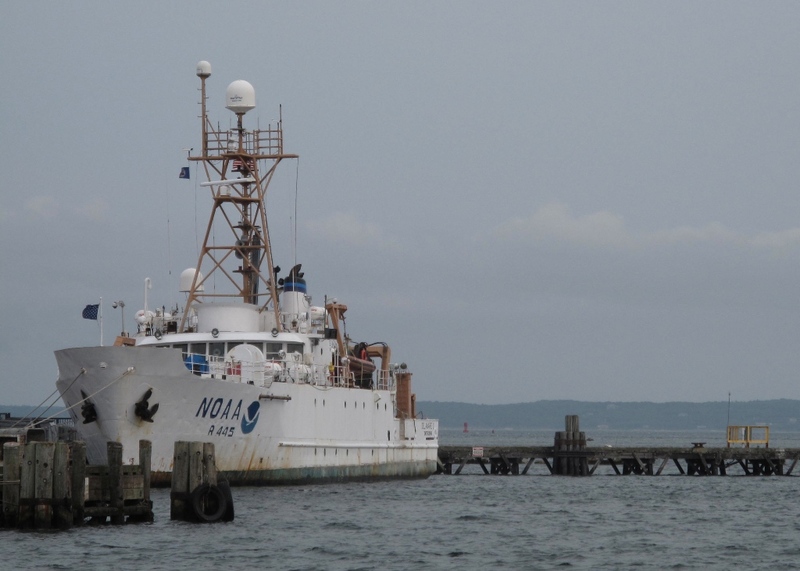 We are headed back into Woods Hole sometime tomorrow. In one of my conversations with Captain Jimmy, he told me that he likes scientists to “enter the ship as customers and leave as family.” Without a doubt, I feel like the whole R/V Hugh R. Sharp team has made that happen. From the excellent meals cooked three times daily, to the willingness of the crew to answer any of my questions, I have felt included and welcome. My fellow scientists have made travel on this journey fun and worthwhile. I can’t count the number of times someone yelled over to me, “Hey Kathleen, get a picture of this. 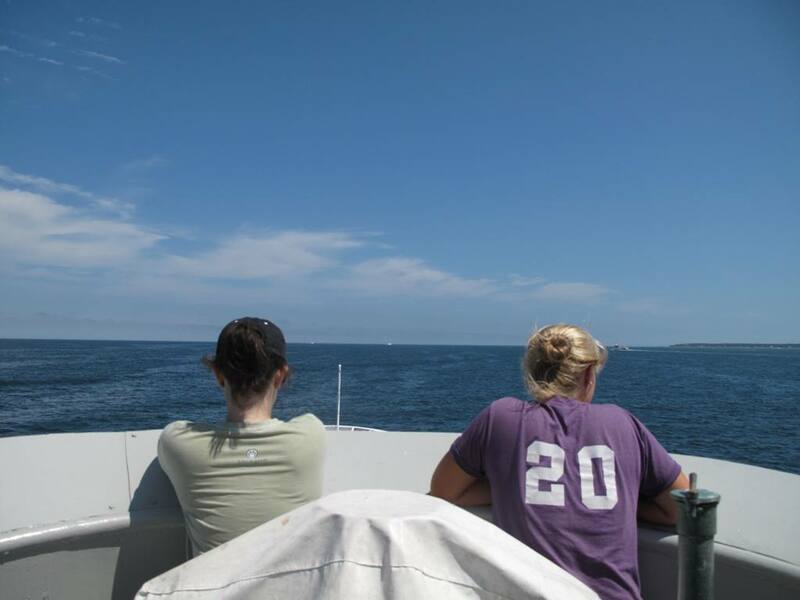 Your students will love it!” It has been a pleasure to be around others who are curious and passionate about the sea. In my classroom, I try to convey to my students that science is about collaboration. I will have many real life examples to share with them when I return. My thanks to the NOAA Teacher at Sea Program, my colleagues and students at Freeport Middle School, and my family, for supporting me on this adventure of a lifetime! It has been amazing to me to see the variations in the catches from the many tows. When the tension on the wire used to haul the net is high, it might be because we have a huge haul of sea scallops. Sometimes the table will be filled with so many sand dollars it is difficult to see anything else. 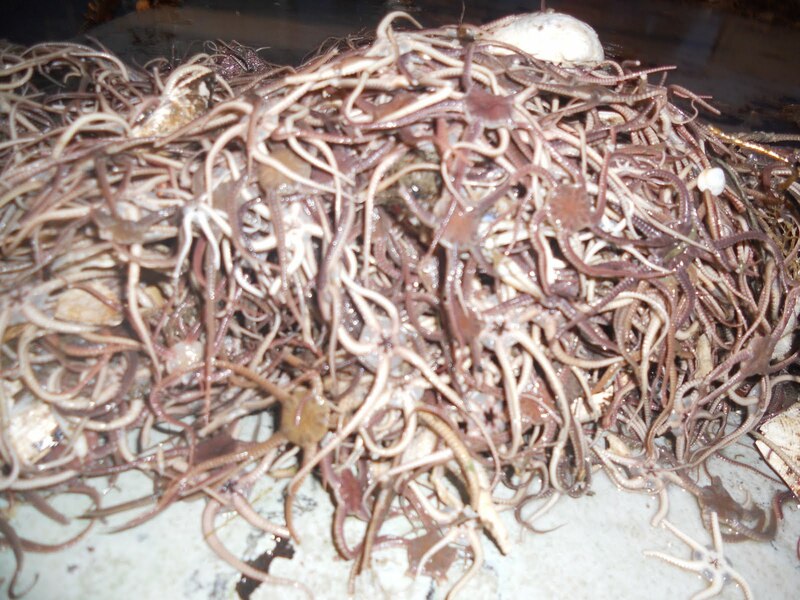 We had a number of tows that contained large amounts of brittle stars. The arms of the brittle stars move like little worms. (It is eerie to see thousands of them wiggling.) The last tow, in the open area, had only forty-six scallops. The pile was filled with quahogs, urchins, starfish, sea cucumbers, hermit crabs, and rocks. Sometimes the animals we collect are covered in mud and sometimes the sediment is very sandy. We are now traveling in the shipping channel and the sea floor is rocky. Before we began to tow in this area, the scientists put the rock chains on the dredge. There is also a metal chute attached to the table so that the larger rocks can more easily be rolled back into the ocean. We have now completed the inventories in the closed areas of Georges Bank. I learn that large areas in the Gulf of Maine had originally been closed as a measure to restore groundfish stocks. What scientists discovered is that, over time, the sea scallops flourished in the closed areas. It was an unintended result of the fisheries management policies. There is always something interesting to learn about the species that we collect. Sea scallops have the ability to move through the water column by clapping their shells together. Sometimes, moving up five or six inches can mean escape from a predator like a starfish. (Of note, during this study we also count and measure empty sea scallop shells, provided that they are still hinged together. These empty shells are called clappers.) Speaking of starfish, on this trip we have seen five species of starfish, in colors ranging from purple to yellow to orange. The common name for my favorite starfish is sunburst, an animal that looks just like it sounds. Monkfish, sometimes referred to as goosefish, are called an angler fish. There is a modified spine at the top of its mouth that appears as though the fish is dangling bait. With this structure, the monkfish can lure a prey near its enormous mouth (and sharp teeth) and capture it. The longhorn sculpin feel like they hiss or grunt when they are picked up. I have learned that it is likely the sound is the vibration of a muscle in their chest. The technology used to support the science on this survey is remarkable. In the dry lab, there are fifteen computer screens being used to track all of the data collected. These are in addition to the many that are being used to manage the ship. 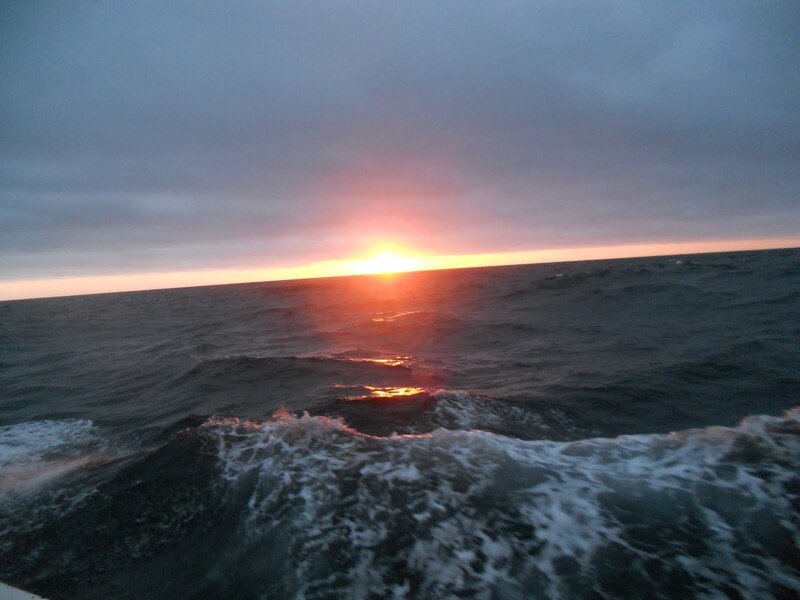 Everything is computerized: the CTD collection, the route mapping, and the information about the species we are catching. After each tow, the Chief Scientist or Crew Chief can immediately plot the data from the catch. Several screens show images from the cameras that are placed at various locations on board the deck. From the dry lab, the scientists can watch the dredge go in and out and view the tension on each cable. When the technology fails, as it did for four hours one day this week, it is up to the crew and scientists to figure out what is wrong and how to fix it. When the ship is off shore for hundreds of miles, the skills and talents of each individual on board must be accessed for anything that happens out of the ordinary. The Captain is the chief medical officer. The crew acts as firefighters. The scientists and crew work together on mechanical issues – like yesterday when the hydraulics on the CTD stopped working. 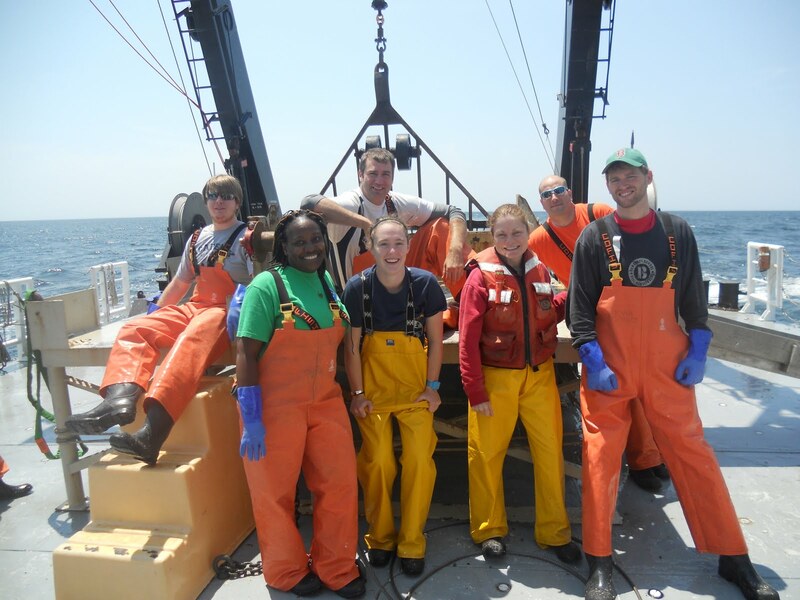 Working aboard a scientific research vessel is perfect for those who are flexible and innovative. It is difficult to explain how beautiful the scene from the back deck of the ship looks. All I can see to the horizon lines is dark blue water. Flocks of seagulls follow the ship to scavenge the buckets of fish we throw overboard. Last evening the full moon was bright and round. 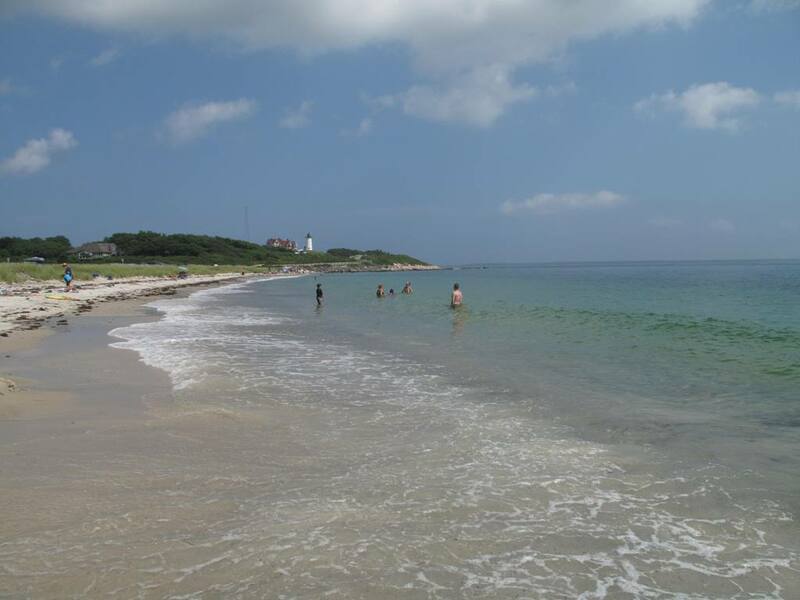 When I breathe in the salt air, I think about how grateful I am that I am here. Why are the rubber rain pants worn by marine workers called “oilers”?